For a while now Autodesk has been talking about digital prototyping as a means to save on costs of real, physical prototypes. True that their portfolio is quite comprehensive but there is nothing like a real, physical model for testing and evaluation. More often than not I have been able to build, test, and tweak a prototype more quickly than setting up a simulation and waiting for it to run. That said, simulations have their place in the design process and Autodesk worked out an interesting integration between 2 seemingly disparate products. 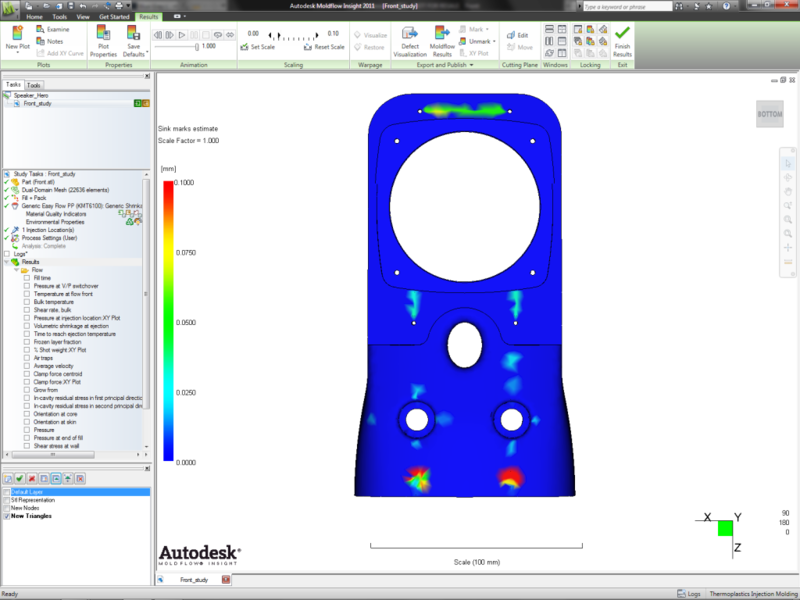 Moldflow is a great tool for evaluating plastic parts and the associated tooling and processing during the execution stage of the design cycle. 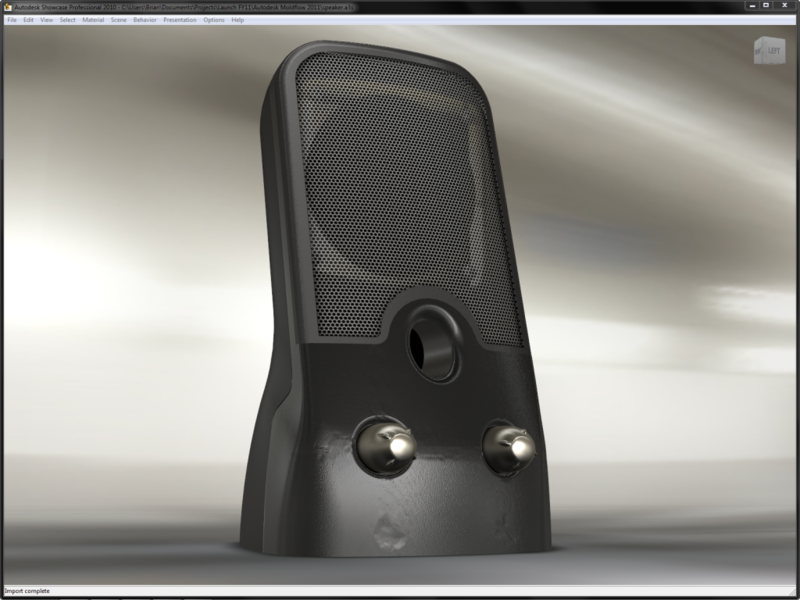 Showcase is a rendering/visualization tool used primarily by upstream industrial designers. Autodesk has put together a great workflow allowing users to extract geometry from the Moldflow package and visualize it within the Showcase environment. It’s not quite as good as cutting steel and shooting parts, but definitely more cost effective. Comments are happening on the new Form Loves Function Discussion Forum.